On Monday 7 June, 1971, a few thousand of New York's 400,000 municipal workers, in the AFSCME and Teamster unions, walked out. 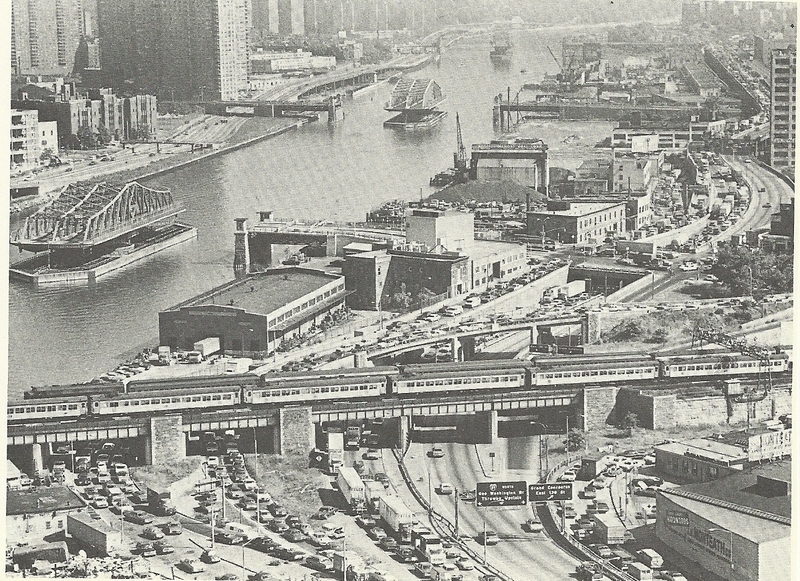 Crucially, 318 of the Teamsters were bridge tenders, who locked open 28 of the city's 29 movable bridges (pictured, above), causing New York's worst ever traffic jams. 500 water supply workers also walked out. At the time in the US it was illegal to deploy the army to perform strikers' jobs, so authorities dispatched the Army Corps of Engineers to work as "advisers" to help scabs reopen the bridges. Although they ran into difficulties as strikebreakers found that key parts of the bridge operating mechanisms were missing (!). By 10 PM only five bridges were back in service, although more were open by the following morning. Guards were called in to protect scab water workers. The mayor John V Lindsay announced he was prepared to call in the National Guard, and the courts issued a back-to-work order, which union leaders initially defied. However on Tuesday 8 June the unions ordered their members to return to work, despite the employers not conceding anything, in a move which many militants denounced as a "sell-out".